The Mt Aurum Penthouse is perfect for families and groups. The large sunny terrace, overlooking the magnificant Southern Alps and the azure waters of Lake Wakatipu, provides an impressive setting for long lunches, relaxing afternoons and al fresco dinners. The spacious open plan layout provides plenty of room for adults to spread out and children to play. The Aurum Penthouse combines elegance, comfort and style and will make your Queenstown holiday a truly memorable experience. The Mt Aurum Penthouse provides endless options for entertainment and hospitality. The gourmet kitchen, complete with chef’s island, a full array of professional-quality cookware and bar stools so guests can keep the chef company, provide a wonderful environment for preparing hearty meals. A full audio/visual entertainment centre – with a widescreen TV, 50 plus sky channels, wi-fi – can provide an atmospheric background as you watch the sun set over the mountains. The cosy gas fireplace, centrally located in the main lounge, gives the entire Penthouse a warm and home-like atmosphere for intimate evenings in. And after a full day of skiing, touring, golf, biking, shopping or walking, a relaxing soak in the spa bath will prepare you in style for another exciting day. 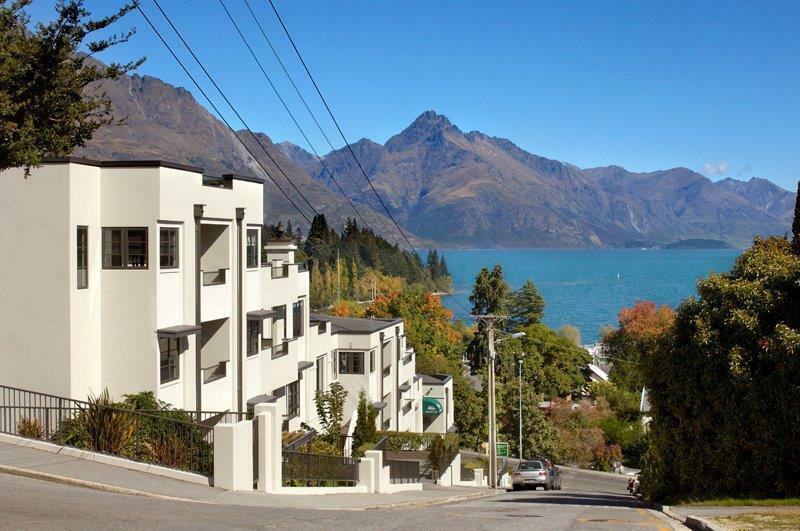 Queenstown offers something for everybody and the Mt Aurum Penthouse will make the ideal base for your adventures. Optional bedroom configurations – twin beds or king-sized, cribs and hire chairs available.